The most reassuring aspect of a Richmond Village is having the facilities and services all in one place to help you respond to every twist and turn life takes. Residential care is offered to those who may be unable, or no longer wish, to reside in their own home. Clinical care needs may be low but undertaking everyday tasks such as cleaning, making meals, washing, dressing and taking medication may have become a struggle. Nursing care is provided when a higher level of clinical support is required 24 hours a day. This may come with the frailty of old age or with an intensive rehabilitation need following a stroke or heart attack. Long and short term solutions can be provided depending on what is required by an individual. A dementia diagnosis is an extremely difficult situation to deal with, not only for the individual but for their family members and friends too. We ensure the care we offer extends to all of those involved. Our internal Domiciliary Care Team is registered with CQC and offers practical and emotional support to individuals and couples living in Village Apartments and Suites. They work exclusively for Richmond Villages and get to know their clients properly, and residents enjoy seeing the same carers every day. 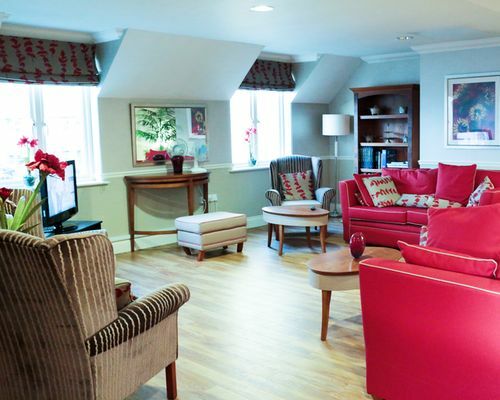 At the heart of each Village is our care home. 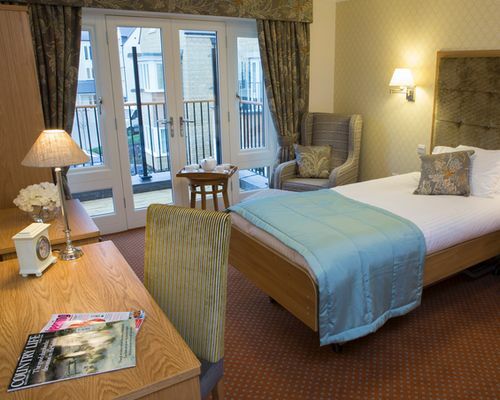 Bright and beautiful, luxurious and supportive we offer a range of care provisions in private en suite bedrooms with stylish profiling beds for maximum comfort. There’s plenty of space to bring personal possessions and favourite furniture to make it feel like home, your home. Light and airy communal spaces such as lounges and dining rooms, as well as the wider enable you to socialise with friendly staff, other residents and your visitors. Join in daily activities and exercise to keep the body and mind active – floristry, choir practice, seated yoga, knit and natters – or just rest and relax to your heart’s content. You may have heard of ‘respite’ which is a term used for short term care most often in a care home setting. Respite care is usually for a period of a couple of days up to a few weeks following an operation, illness or injury. It can also offer the chance for a carer to relax from the hard work it takes to look after a loved one full time.